One of the most exciting things about visiting Greece is having the chance to explore its amazing heritage. Personally, it’s the archaeological sites that fascinate me most, but I’m also drawn to its many museums. As the country has such an extensive selection of historical sites to discover, I won’t even come close to attempting to list them all; instead, here’s a selection of my favourites. Well, where else could I start? The Acropolis is, without doubt, the shining star of archaeological treasures in Greece – and perhaps even the world. One of the things I love most about this site is that it’s right in the middle of the city; Sacred Rock, where the temples were built, rises high above the modern metropolis that has developed around it. 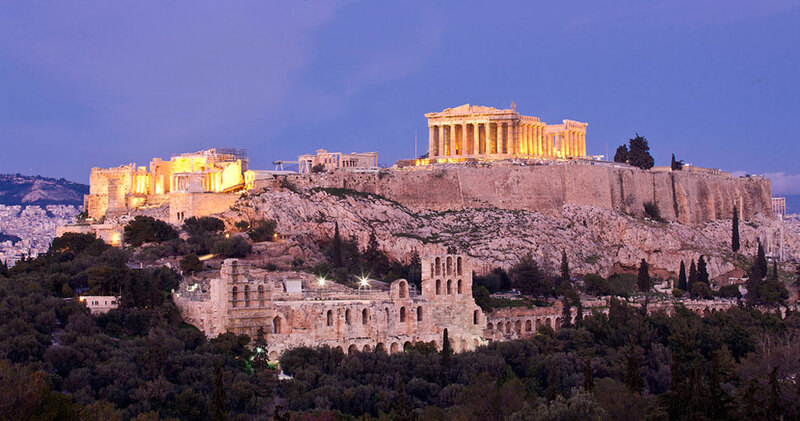 A UNESCO World Heritage Site, the Acropolis is home to a number of ancient buildings and temples. 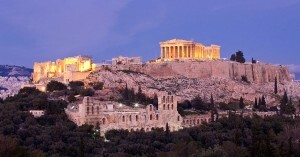 The one you will no doubt have heard of is the Parthenon, a temple dedicated to the goddess Athena. I know there’s a lot of hype surrounding it, so you might be worried it won’t live up to your expectations, but trust me – it really takes your breath away. Make sure you also include a trip to the Acropolis Museum in your itinerary. Here, you can peruse all the amazing artefacts found on Sacred Rock, as well as the foothills around it. This museum was actually only opened in 2009, so it’s pretty new, but the collection is nonetheless very impressive. A real highlight is the Archaic Gallery, where you can see stunning sculptures that featured in the first temples of the Acropolis. This gallery is 9 m high to make sure there’s even space for the largest of the statues. Head over to the Peloponnese, a large peninsula in southern Greece, and you can discover Ancient Olympia. Given how important the Olympic Games remain in the modern day, a visit here is an exciting and awe-inspiring experience. What’s really wonderful is just how many recognisable structures you can pick out, from temples and public buildings to the stadium itself. In fact, you can still see where the judges would have sat in the stadium, which could seat 45,000 spectators, and the start and finish lines of the 120 m sprint track. A nice touch is that there’s plenty of signage in front of each structure to show you what it would have looked like back in its heyday, as well as a description in English. By the way, the Peloponnese is also a really nice place to base yourself for your holiday – you can check out possible hotels at http://www.sovereign.com/destinations/Greece. While you’re visiting Ancient Olympia, make sure you take a trip to the Archaeological Museum too. There’s a lot to see here, including an impressive classical sculpture from the Temple of Hara that you really shouldn’t miss. It’s called the statue of Hermes of Praxiteles, so keep your eyes peeled for it! There’s also a scale model of Ancient Olympia, which is really interesting. Actually, this can help you more clearly visualise what the site would have looked like, so you might want to come here before heading to the real thing. The last piece of Greek heritage on my list is the Temple of Bassae, which is also in the Peloponnese. Unlike some of the country’s other top archaeological attractions, this one is tucked away in a relatively remote area – something that meant it wasn’t actually stumbled across by modern eyes until 1765. And even then, the first archaeological investigation was only carried out in 1812. This UNESCO World Heritage Site was built in the 5th century BC, combining the Doric and Archaic architectural styles. However, one of the most exciting things about the temple is that it’s got some more unusual features, like the variety of materials used to build it, and the fact that Ionic and Corinthian orders have been used for a Doric structure.